My name is Stephen Kerr. I want you to know that I enjoy helping people and I am passionate about what I teach. Like the gentleman that came into one of our six-week sessions about six years ago. This guy was not in the best of health and could only get around with the aid of a cane, and even then, he had to limit his activity. About the third week in the session, I noticed he came in one day without his cane, so I asked him what happened. He told me that he laid it down at the local Walmart and just never went back for it. To this day, he still trains with me. 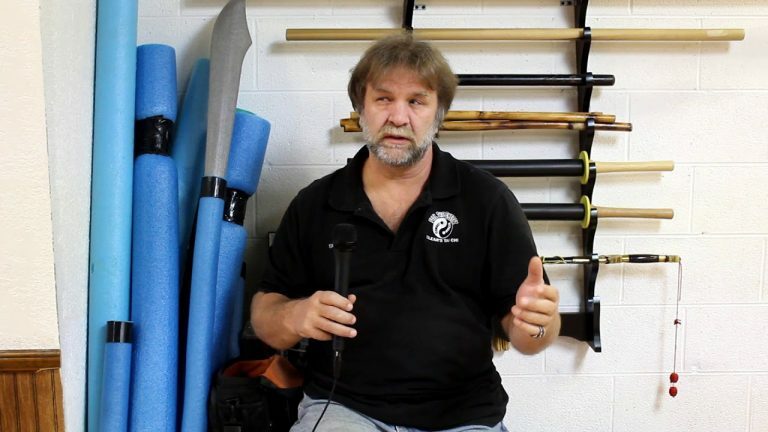 I have worked with various senior masters and grandmasters and am a member of the USA Martial Arts Hall of Fame, but my most proud accomplishment is every time someone tells me how our teaching has helped them in some way. Beyond seeing people’s lives benefit from our teaching, our mission is to fuel a revolution in Tai Chi instruction based on function. For those who are curious, I am a certified instructor of Tai Chi Chuan, Qigong, Fa Kung and Tai Chi Internal Push Hands. We also aim to inspire a deeper appreciation of Tai Chi by making the “Closed Door, Inner-Circle” secrets of the art available to the public. The very art of the martial arts that I have been studying for over 30 years and now give lectures to the public on. In line with the art, my teaching on wellness has an emphasis on prevention and maintenance instead of waiting until people already have health issues. I want that mindset to be more prevalent and for people to understand that WE are responsible for our own health. It used to be a long time ago that in China, you didn’t pay the doctor when you got sick. You paid him when you were well, and if you got sick, then he treated you for free. I want the public to know that holistic wellness practices are not so much something you do every so often, but rather are “lifestyle” choices. Beyond this passion that I have created into my life’s mission, I enjoy painting and do commission work on the side. I enjoy reading, training and spending time with my family, which includes my two rescue dogs and two parrots.